Department of Orthopedics and Joint Replacement Surgery at Zulekha Hospital is a state-of-the-art specialized facility designed to provide the best possible results and care to patients. As a center of excellence, Zulekha Hospital is committed to providing a compassionate, safe, high quality, and exceptional patient experience. The centre offers comprehensive orthopedic care in multiple specialty areas such as Arthroscopic Surgeries, Replacement Surgeries, Spine Surgeries, Trauma, Fractures, Arthritis and General Orthopedics. Our qualified and well- experienced team of doctors integrates all aspects of both surgical and nonsurgical specialized care by collectively combining their knowledge, experience, and expertise. High quality of implants are used in replacement and arthroscopic surgeries and world class rehabilitation services are offered to ensure speedy recovery. With the help of advanced Arthroscopy procedures, the surgeries are less painful and can be done as a day care procedure. Dr. Rahul Shivadey has over 15 years of private practice experience and he has also been a Consultant in Orthopaedics and Traumatology department at Sujata Birla Hospital and Medical Research Centre in India. He has also worked as a Consultant Ortho Surgeon at Wockhardt Hospital and as an Honorary Ortho Surgeon at Municipal Corporation Hospital in Nasik Road, India. Dr. Shivadey has performed more than 200 Arthroscopic knee procedures and more than 100 spine surgeries for disc pathology. He has performed more than 1000 major bone fracture fixations and more than 3000 minor surgeries including close reductions. Dr. Shivadey is well trained in most interlocking techniques and biological locking systems, External fixators, minimally invasive techniques, etc. Dr. Chidananda Shivashankar has 15 years of experience in Orthopaedics and its subspecialties. He has trained and worked in India, UK and Singapore in different fields of Orthopaedics. Dr. Chetan Prakash has worked with many prestigious hospitals abroad as an orthopaedic surgeon. He underwent advanced training in hip and knee replacements, revision surgery & hip resurfacing from the prestigious Cleveland Clinic & Euclid Clinic in USA. He has also completed a Fellowship in Orthopaedic Surgery and Sports Traumatology from Kanto Hospital Bruderholz in Basel, Switzerland. 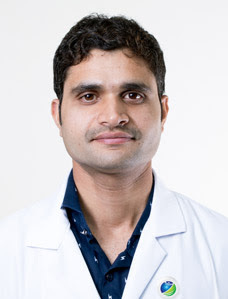 Dr Prakash performed extensive internal fixation in trauma deformity correction in poliomyelitis, limb lengthening, Ilizarov fixation, interlocking nails and various hip prosthesis. He completed his MBBS from LLRM Medical College in Meerut, India. Later on, he did his D.Ortho from Kasturba Medical College in Manipal and DNB (Ortho) from St. Stephens Hospital in New Delhi. 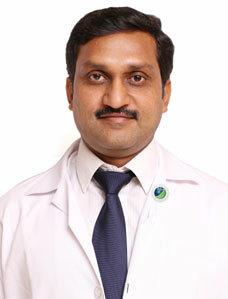 Dr. Srikanth has More than 10 years of experience in the field of Orthopaedics. Dr Srikant finished his FNB-Hand and Micro Surgery from Ganga Hospital Coimbatore and Fellowship in Arthroscopy and Arthroplasty from Sancheti Hospital Pune,India. Observership in Arthroscopy at Ortho One Hospital Coimbatore. Dr. Srikanth Varma worked in various med colleges as faculty, teaching both undergraduates and Post graduates. Previously associated with Kamineni Hospitals Hyderabad as Consultant Hand Surgeon before joining at Zulekha Hospital Dubai. Dr. Wael has more than 10 years of experience in fields of orthopedics .He got his Basic general surgical training in Royal Medical Services - Amman Jordan. Before Joining Zulekha Hospitals was working for 9 years in Rashid Hospital Dubai - UAE . Dr. Maher has more than 25 years of experience in the field of Orthopedic Surgery as an Orthopedic Surgeon and Assistant Professor in Orthopedic Surgery in well recognized hospitals and medical colleges. 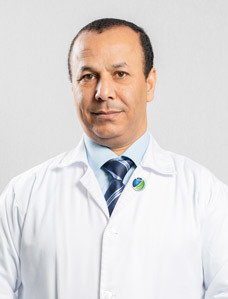 During his career he has associated with many prestigious institutions like Al Ramadi Teaching Hospital, Al Anbar College of Medicine, Al Anbar University, Al Kindy Teaching Hospital, Baghdad University in Baghdad ,Iraq . 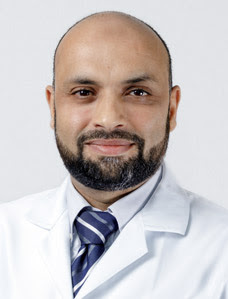 Dr. Syed has more than 10 years of experience in the field of orthopaedic surgery from a reputed teaching institute where he gained his experience in replacement and reconstructive surgeries. Dr. Pankappilly is a leading physician with a vast experience over 15 years in clinical practice &he gained valuable experience in the treatment of shoulder injuries during his tenure at Jewish Hospital, Louisville, Kentucky and at ONS Foundation, Greenwich, Connecticut in 2008. He completed his fellowship in Joint replacements & arthroscopy from Amrita institute of medical sciences Kochi,India in 2007. In 2011 he completed his shoulder fellowship from Clinique de Lunion Toulouse, France. Dr Pradeep Ingale has 23 years of vast experience in the field of Orthopaedics. 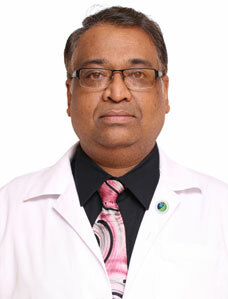 He has completed his MS orthopaedics from Government Medical college in Maharashtra, India in 1994. He was trained in joint replacement and arthroscopy at Hinduja Hospital Bombay under Dr Dholakia, Dr Agarwala and Dr Sathe in 1995. He has worked as a consultant orthopaedic surgeon, Joint replacement Surgeon , Arthroscopist with N M Wadia Hospital Solapur from 1996 to 2004. Later he joined MOH Saudi Arabia in 2005 as a specialist Orthopaedic surgeon and continued till 2010 in 150 bedded referral Hospital in Alquwaiyah Riyadh. 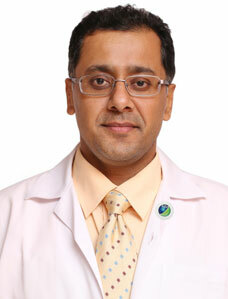 Dr Pradeep has done his MCh Orthopaedics from Ninewells Hospital, Dundee University, Scotland UK in 2011. During his tenure in 2010 and 2011, he also worked in joint replacement and arthroscopy unit at Parth Royal Infirmary, NHS Scotland, UK. Then he had a privilege to work as senior consultant with Bangalore Baptist Hospital India in 2012 and 2013. He was Consultant Orthopaedic surgeon and Head of Orthopaedics at Pawana Hospital Pune. He has done more than 5000 major surgeries and more than 1000 joint replacements and arthroscopies independently. Hand Surgery is a broad term that incorporates a vast array of different types of surgery on the hand. Surgeons who perform hand surgery attempt to restore not only the function of the hand, but try to maximize the cosmetic appearance of the hand, as well. Several conditions can cause joint pains and disability and total joint replacement surgery may be the only option to get you moving. In majority of the cases, joint disability is caused by Arthritis. It results in damage to the cartilage that lines the ends of the bones (articular cartilage). If nonsurgical treatments like medications, physical therapy, and lifestyle modifications do not relieve your pain and disability, your doctor may recommend total joint replacement surgery. Total joint replacement is a surgical procedure in which parts of an arthritic or damaged joint are removed and replaced with a metal, plastic or ceramic device called prosthesis. The prosthesis is designed to replicate the movement of a normal, healthy joint. Total Knee replacement is a surgical procedure to resurface a knee damaged by arthritis. Metal and plastic parts are used to cap the ends of the bones that form the knee joint, along with the kneecap. This surgery may be considered for someone who has severe arthritis. 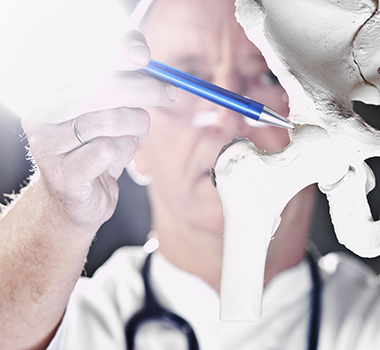 During a hip replacement surgery the surgeon surgically removes the wornout articular surfaces of the bones and replaces it with an artificial joint often made from metal, plastic or ceramic components. The surgery is usually done when all other treatment options have failed to provide adequate pain relief. The procedure relieves restores mobility to the hip joint. The elbow joint can be damaged secondary to rheumatoid arthritis or severely comminuted fractures resulting in irrepairable damage to the joint surfaces. In some cases, the damage can be surgically repaired. But if the damage is extensive, the doctor might recommend elbow replacement surgery. In elbow replacement surgery, the damaged joint is removed and an artificial (prosthetic) joint is inserted into the arm and forearm bones. Total shoulder replacement arthroplasty is a well-established surgery for restoring comfort and function to the arthritic shoulder. In this procedure the arthritic ball is replaced by a smooth metal ball fixed to the arm bone by a stem that fits within it. The arthritic socket is resurfaced with high-density polyethylene prosthesis. Among the different surgical options this procedure appears to provide the most rapid and complete improvement in comfort and function for shoulders with arthritis. In situations with irrepairable rotator cuff tears with arthritis in the shoulder joint, a primary total shoulder replacement will not restore the joint function. A reverse shoulder replacement is the ideal treatment option in this difficult scenario to relieve pain and maintain the joint mobility. Reverse shoulder prosthesis have also proved to be a viable option in cases of severely comminuted proximal humerus fractures in the elederly population. Arthroscopic surgery is a minimally invasive surgical procedure in a joint during which a proper diagnosis and treatment of various intraarticular pathologies can be achieved. During the surgery an arthroscope is inserted into a joint through stab incisions and the intraarticular images viewed on a monitor . Using various tools inserted through the small incisions the pathology can be dealt with more precisely. As compared to the open procedures the key hole surgery is less traumatic , cosmetically appealing with faster rehabilitation time. Arthroscopic procedures can be performed to evaluate or treat various orthopedic conditions including torn ligaments, meniscal tears, cartilage defects and tendon tears. Anterior crucite ligament (ACL)tears are very common especially among the atheletes and footballers. During an ACL reconstruction very often a tendon graft( hamstring graft, bone–patellar tendon - bone graft, or quadriceps tendon graft ) is taken from patients own body ( Auto graft) and is used to replace the torn ligament, located in the front of the knee, to restore its stability and function . The torn ligament is partially removed from the knee before the graft is inserted through an arthroscopic procedure. The posterior cruciate ligament (PCL) is one of the most prominent ligaments in the knee. Its located in the back of the knee. Injuries to the PCL can occur in a variety of ways, including a hard blow to the shinbone or falling down on a bent knee. The discomfort and inconvenience associated with a PCL injury cause your activity to be limited, and affect your quality of life. Pursuing repair of PCL injury, such as PCL reconstruction surgery, will relieve pain and help you get back to your normal life. The rotator cuff consists of muscles and tendons that hold the shoulder in place. The rotator cuff allows a person to lift his and her arm and reach up. An injury to the rotator cuff, such as a tear, may happen suddenly when falling on an outstretched hand or develop over time due to repetitive activities. Rotator cuff degeneration and tears may also be caused by aging. If the rotator cuff is injured, it may need to be repaired surgically. This may include shaving off bone spurs that are pinching the shoulder, and repairing torn tendons or muscles in the shoulder. Surgical techniques that may be used to repair a tear of the rotator cuff include arthroscopy, open surgery, or a combination of both. The goal of rotator cuff repair surgery is to help restore the function and flexibility of the shoulder and to relieve the pain that cannot be controlled by other treatments. About 40-60% of the load passing through the knee is borne by both the menisci. Meniscal tears results in severe pain. Once torn , the menisci needs to be repaired or trimmed depending on the type of the tear.The torn meniscus is repaired by a variety of minimally invasive techniques and requires postoperative protection to allow healing. Physical therapy is useful to regain full function of the knee, which occurs on average 4-5 months after surgery. The Arthroscopic Bankart Repair is an effective procedure to treat patients that have anterior or posterior shoulder instability. The majority of patients who suffer a traumatic dislocation of their shoulder will tear the fibrocartilage labrum at the front of the shoulder. Many of these patients will go on to develop recurrent instability in their shoulder and keep dislocating. This will have a significant effect on the ability to participate in sport and sometimes also their work. It can lead to significant cartilage wear and arthritis in the joint. The Arthroscopic Bankart procedure repairs this tear in the labrum and by doing so restores stability to the shoulder. The smooth white tissue that covers the ends of bones where they come together to form joints is called articular cartilage. It makes our joints easier to move, and allows the bones to glide over each other with very little friction. Cartilage can get damaged by injury or normal wear and tear. Because it does not heal itself well, there are many surgical techniques to stimulate growth of new cartilage and to relieve pain and allow better function. They includes microfracture,OATS procedure, Autologous cartilage transplantation, and insertion of biological scaffolds mixed with bonemarrow cells. Most of the procedures are done arthroscopically . Tennis elbow is soreness or pain on the outer part of the elbow. It happens when you damage the tendons that connect the muscles of your forearm to your elbow. The pain may spread down your arm to your wrist. If the injury is not treated, it may hurt to do simple things .A commonly used surgery for tennis elbow is called a lateral epicondyle release if conservative measures become ineffective.. This surgery takes tension off the extensor tendon. The superior capsular reconstruction is a novel treatment option for massive, irreparable posterosuperior rotator cuff tears. Treatment goals of such tears are to reduce pain, restore shoulder function and delay the development of advanced cuff tear arthropathy. In cases with irreparable rotator cuff tears especially in young people muscle tendon transfers may be a good option in place of joint replacement surgery to restore the shoulder function. During the procedure muscle tendon units like Latissimus dorsi, lower trapezius can be transferred on to the humeral head to improve the range of movements and decrease pain. The triangular fibro cartilage complex (TFCC) tears are a frequent cause for persistent pain in the wrist. This can occur following a fall or during workouts in the gym. X-rays may look normal. A proper examination may reveal the diagnosis. The tear can be repaired through an arthroscopic surgery. Co-chairperson of Zulekha Healthcare Group. The prestigious Dubai Chamber CSR Label was presented to Dr. Zulekha Daud, Founder and Chairperson, Zulekha Healthcare Group for the fourth consecutive year recognizing our commitment to corporate social responsibility and sustainability. 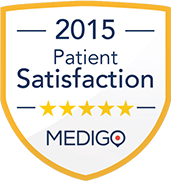 With the Centre of Excellence for Bariatric and Metabolic Surgery accreditation. Zulekha Hospital Dubai is a 179 bed hospital established in 2004 which offers both inpatient and outpatient care covering a wide range of medical and surgical specialties. The facility boasts state-of-the-art operation theatre arrangements, emergency services, labor rooms and includes multiple centers of excellence such as Cardiology, Plastic Surgery, General Surgery, Oncology, Ophthalmology, Orthopedics, Urology, Gastroenterology, Dermatology and Physiotherapy. 204 Rd, Al Qusais Industrial Area, Dubai, U.A.E. Zulekha Hospital Sharjah is a full-fledged, multi-disciplinary hospital with Out-patient and In-patient facilities. What started off as a 30 bed set up with basic facilities for gynecology, obstetrics, surgery, medicine and pediatrics in 1992, today boasts of 185 beds, sprawled over an area of 290,000 square ft.
Al Zahra Street, Sharjah, U.A.E.